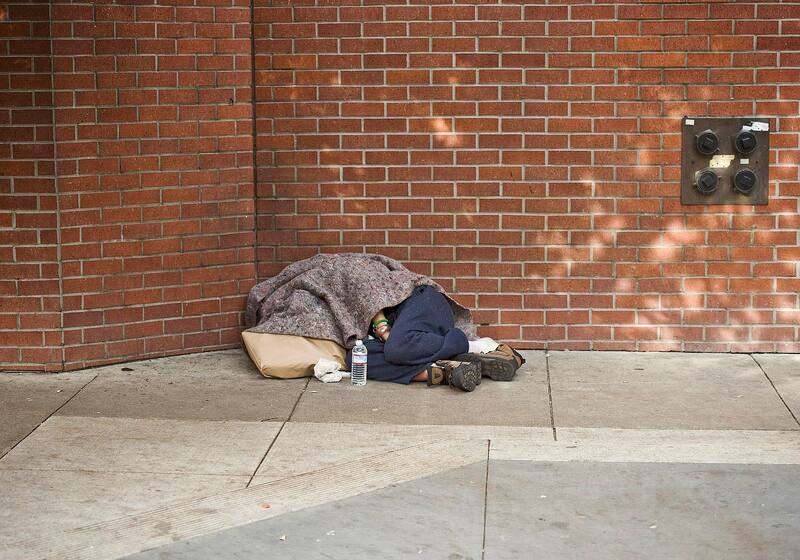 A homeless senior huddles on a sidewalk in San Francisco. The National Alliance to End Homelessness predicts senior homelessness will more than double by 2050. Photo was part of a series on the plight of the elderly poor in America.